Wendy Chmielewski, Louis J. Kern, and maryln Klee-Hartzell, eds. Women in Spirtual and Communitarian Societies in the United States. Syracuse: Syracuse university Press, 1993. Pp. 296. Rousmanière, Kate. 1994. “Wendy Chmielewski, Louis J. Kern, and Maryln Klee-Hartzell, eds. Women in Spirtual and Communitarian Societies in the United States. Syracuse: Syracuse University Press, 1993. Pp. 296.”. 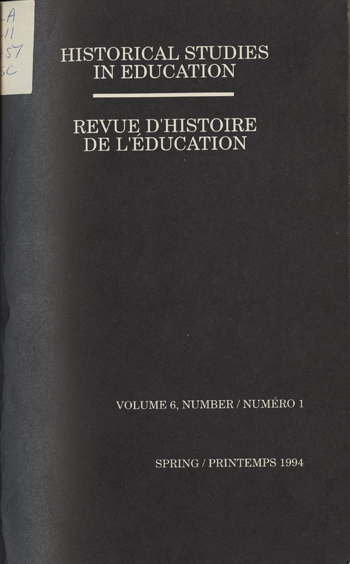 Historical Studies in Education / Revue D’histoire De L’éducation 6 (1), 115-17. https://historicalstudiesineducation.ca/index.php/edu_hse-rhe/article/view/1158.